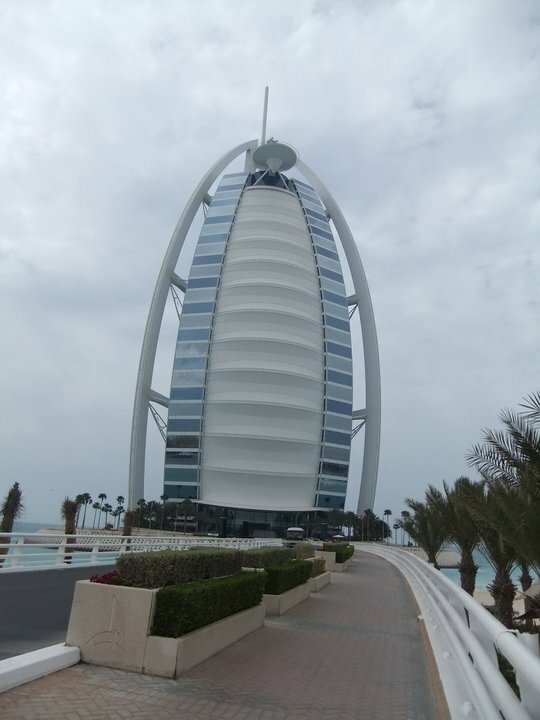 Burj Al Arab, Dubai, does not allow tourists to enter the premises if you do not have a reservation with them. I was curious and was eager to take a look at the interior of this 7-star hotel (one and only 7-star hotel in the world) when I first visited Dubai, UAE. As I did not know the hotel has such policy, I was denied entrance. So on my second visit, I made a reservation for high tea, emailing the hotel before I set off for Dubai. The hotel will send an email reservation confirmation and to gain entry to the hotel, this copy must be brought along, to be shown to the security at the gate. From the gate to the hotel building, it is linked by a bridge. The hotel provides buggy to ferry guests from the entrance to the hotel. Alternatively, you can take a slow stroll, admiring the scenario, the beach and the Persian Gulf. When you set foot at the hotel entrance, you were welcomed by a spacious, high ceiling lobby with glittering gold paint and gold ornaments. I walked around to satisfy my curosity and of course not forgetting to take lots of photo. 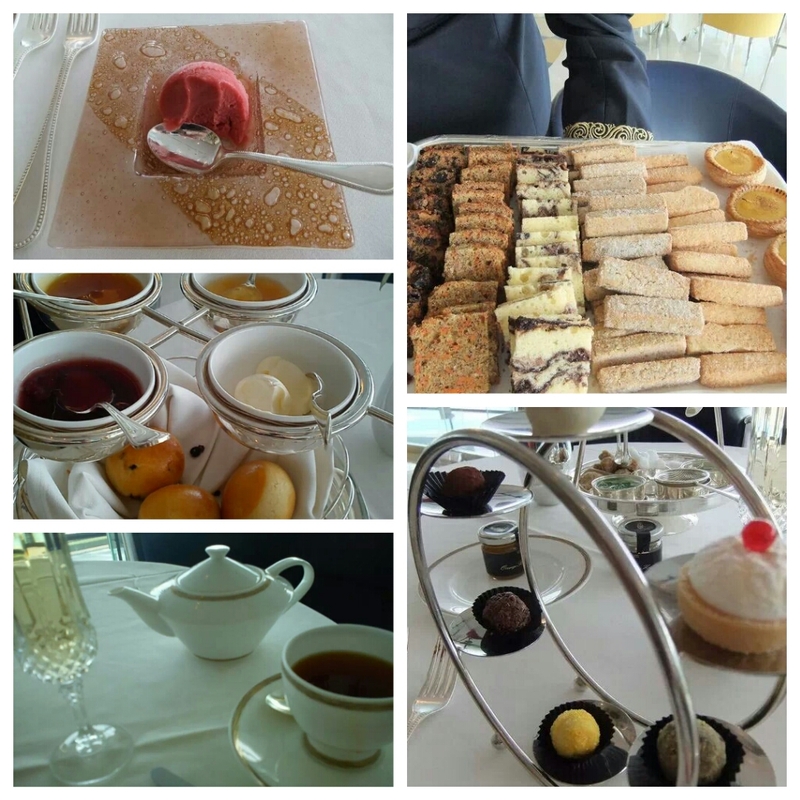 The afternoon high tea is at Sahn Eddar, located on the first floor of the hotel. Please note that smart casual is the dress code. When I was at the restaurant, I was promptly served by the service staff. The service staff were friendly and helpful. I was then shown to my table. You can choose to have it with champagne or with unlimited non-alcoholic drink. In addition to the drinks, you get to choose either coffee or tea. They have a pretty good selection of tea. 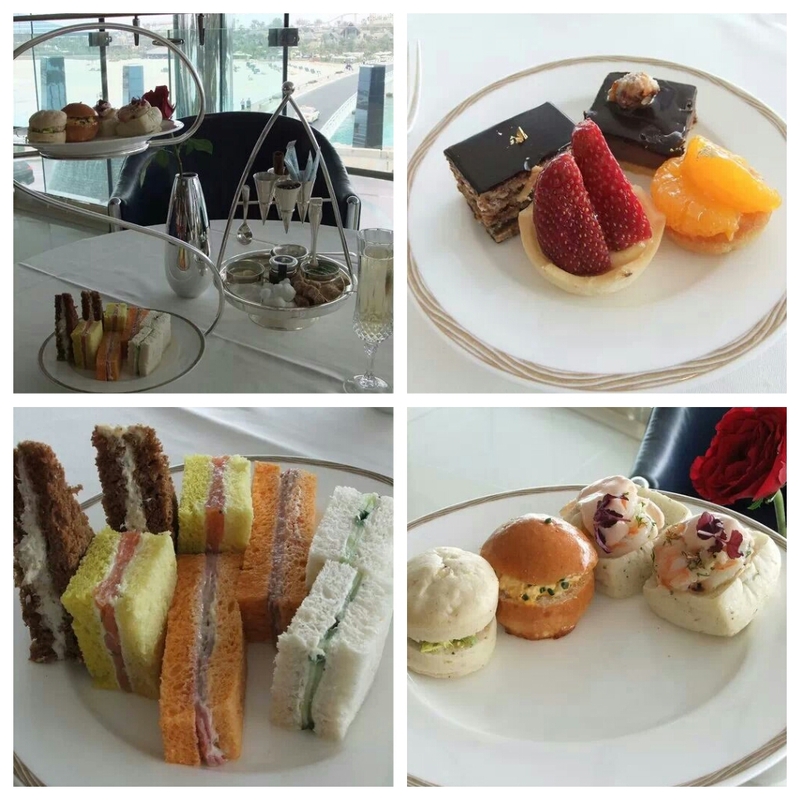 At the start of the high tea, you will be served the glass of champagne or the non-alcoholic drink and some sandwiches. Once you finished the first drink, you will serve the tea or coffee. In case you want it before your drink, you need to made known to the service staff. The sorbet was served when you finished the sandwiches. Right after that, the sweet pastries, cakes and tarts were served. There were some selection of tea cakes and cookies to choose from as well. Next you will be served the scones. It came with jams and cream. Finally chocolates were served to end the high tea with a sweet note. Lots of food for tea, I end up with no dinner.